Face & Outfit Of The Day! Evening all, I hope you're all enjoying the lovely weather - it's so nice to see the sun out, finally! I was busy recording some videos today and snapping away for some blog posts during the week. 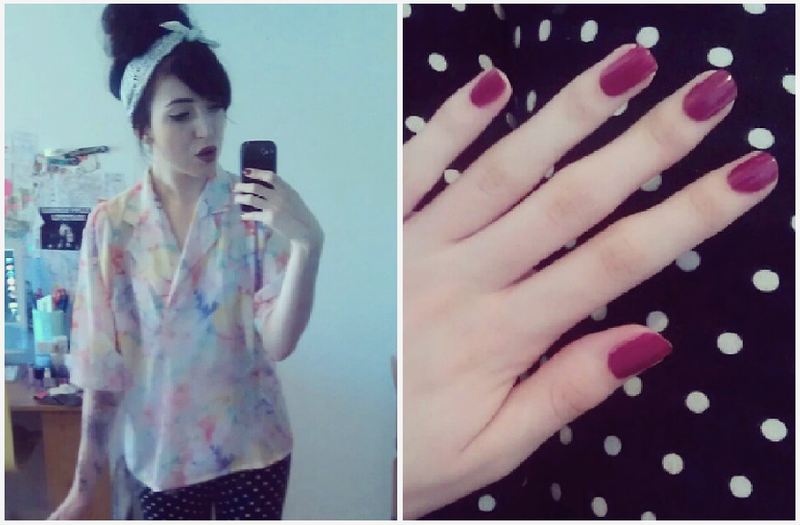 Instead of throwing on some pj's, I felt very late-50s housewife-esque and threw on some retro clobber. There's nothing I love more than mixing prints and colours and I think the small polka dot on my leggings, go beautifully with the large floral print of my vintage blouse. 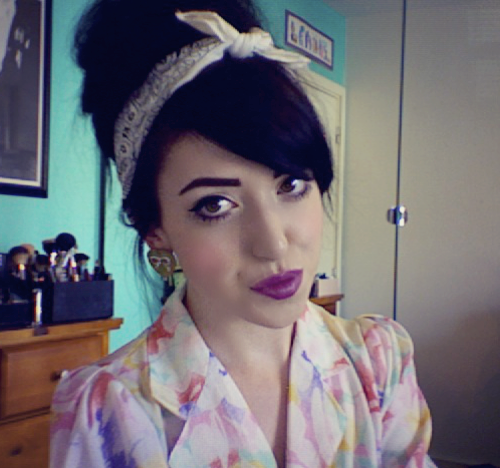 I applied my usual 50s pin up makeup with a purple lip, and tied my hair up in an Amy Winehouse inspired up-do. 2 posts in one day? You lucky sods!